Consisting of two separate pieces, a matching bodice and skirt, the Renaissance Yorkshire Duchess Dress is fit for any noblewoman, made of elegant patterned brocade, panels of velour velvet, and luxurious lace sleeve details. The bodice features sleeves that are fitted to the elbow before revealing an underlayer of voluminous white lace. Lace-up details over the velour velvet panel on the front and along the center of the back allow the wearer to customize the fit of the bodice, while its inner boning helps emphasize the waist. The voluminous full skirt features a central panel of velour velvet, matching the bodice. To get the full look of the skirt as seen here, wear a petticoat underneath, sold separately. Jewelry shown is not included. 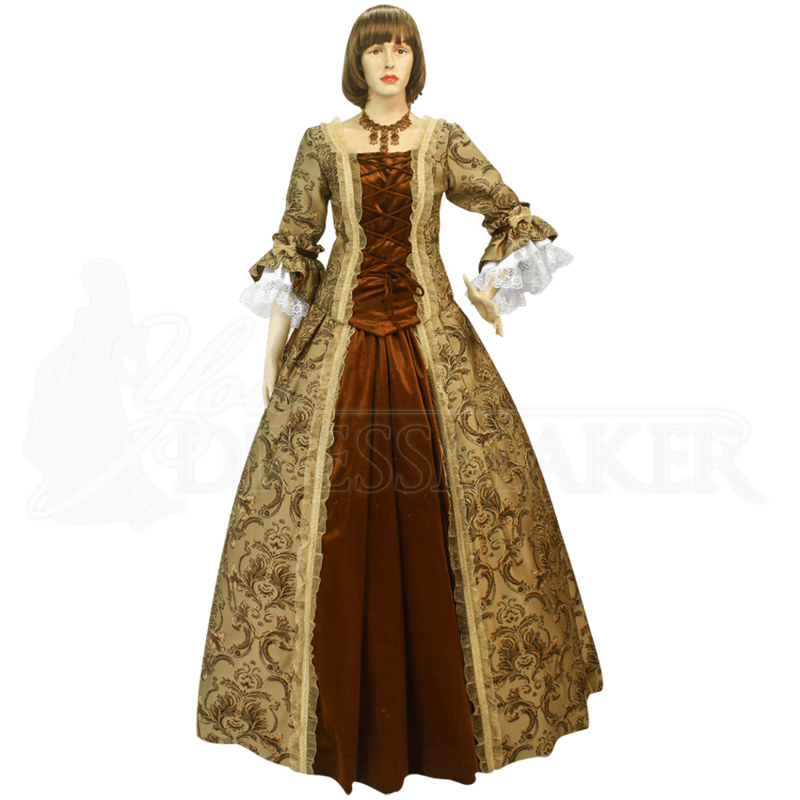 With its stunning craftsmanship and inspiration drawn from authentic historic fashion, the Renaissance Yorkshire Duchess Dress is a fine choice when dressing up for your next reenactment event, costume ball, masquerade, or Renaissance festival.